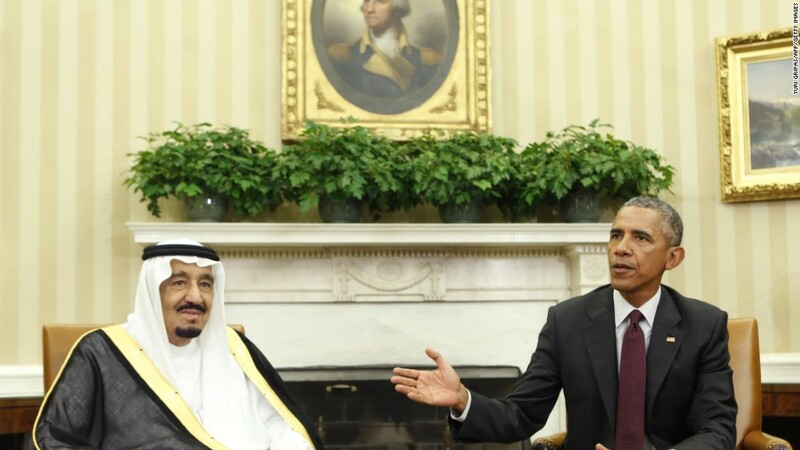 Here's a guessing game with scary implications: how much of America does Saudi Arabia own? By virtue of its vast oil riches, the Saudi kingdom is widely believed to be one of the biggest owners of U.S. debt. But there's a lot of mystery over exactly how much. The Saudi central bank is sitting on an incredible $584 billion of foreign currency reserves, but doesn't disclose how much of that is parked in U.S. Treasuries. The U.S. Treasury Department does not really divulge that information either, even though it breaks out the amount of U.S. federal debt held by most countries such as Japan, China or Russia. Since the 1970s, Saudi Arabia's holdings of Treasuries are lumped together with that of other oil exporting nations like Venezuela and Iraq. Collectively, these nations hold $281 billion of Treasuries. "We did it many years ago to smooth relations," Edwin Truman, a senior Treasury Department official during the 1990s, said of the Saudi move. "It's an anachronism and foolish." A Treasury spokesperson declined to tell CNNMoney whether the policy is being revisited. She simply cited U.S. policy to pool Treasury ownership stats together where detailed reporting "might disclose the positions of individual holders." The Saudi mystery has taken on greater urgency these days. Since the end of 2014, the Saudis have burned through $139 billion of reserves -- almost definitely a portion of it came from selling U.S. debt -- as the country grapples with the budget shortfalls brought on by the oil crash. There have also been rising tensions between the U.S. and Saudi Arabia ahead of President Obama's trip there on Wednesday. Sources told CNN that Saudi Arabia recently threatened to sell off American assets if Congress passes a bill that would allow 9/11 victims to sue foreign governments. A source familiar with the Saudi asset portfolio told CNNMoney the government is "serious" about this. "If Congress goes ahead with passage of that legislation, there has to be a response," the source said. Dumping a huge amount of U.S. debt at one time would likely cause Treasuries to tank, potentially destabilizing financial markets. In response, White House spokesman Josh Earnest told reporters on Monday: "I'm confident that the Saudis recognize, just as much as we do, our shared interest in preserving the stability of the global financial system." The Saudi threat strikes many experts as empty because it would amount to a fire sale that would likely severely hurt the value of the Saudis' own holdings. And any ripple effects on the U.S. dollar could also backfire because the Saudi riyal is pegged to the dollar. "It's not a realistic threat, at least not in a rational world," said Truman. "My suspicion is the political side of the Saudi government is talking -- and it's not a position shared by the financial side of the government." Prince Mohammed bin Salman, the deputy crown prince and son of the king, has recently consolidated power over financial decision making. However, Fitch Ratings recently warned it's unclear how much support the deputy crown prince has within the royal family and the power grab has "reduced the predictability of decision-making." 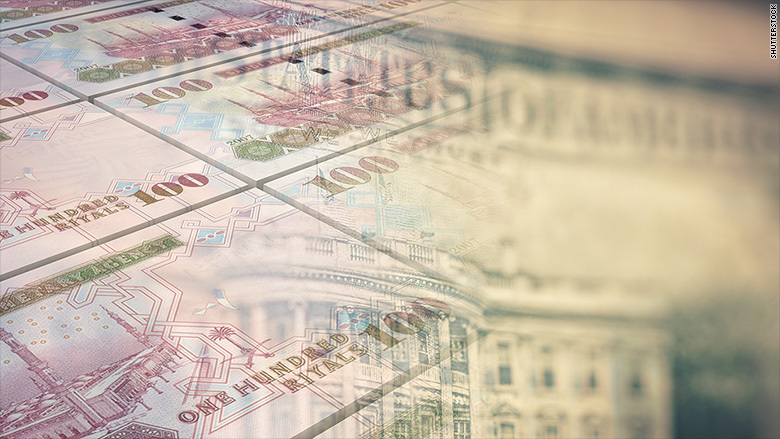 Even if the Saudis go through with their asset sale, Guy LeBas, chief fixed income strategist at Janney Capital Markets, believes the U.S. bond market would quickly recover. "Demand right now is so enormous that there are plenty of other buyers who could absorb that," said LeBas. The Saudis would be risking their cozy relationship with the American military. The Fifth Fleet of the U.S. Navy protects shipments in the Persian Gulf, including the supertankers carrying Saudi crude. And some U.S. lawmakers already want to restrict American arm sales to Saudi Arabia. "The Saudi government for 70 years has survived on a deep security relationship with the United States. I don't think they want to trash that relationship," Jon Alterman, director of the Middle East program at the Center for Strategic and International Studies, told CNN. Certain members of the Saudi royal family also have other ties with prominent U.S. businesses. For example, Prince Alwaleed Bin Talal is a significant shareholder in Twitter (TWTR) , Rupert Murdoch's Twenty-First Century Fox (FOXA) and even ride-sharing platform Lyft. Saudi Arabia has never been formally implicated in 9/11 and the kingdom has long denied it had a role. However, many 9/11 hijackers were Saudi nationals and there is much controversy over 28 pages of the 9/11 Commission Report that remain classified and are believed to focus on the role of foreign governments. Terry Strada, whose husband died in the 9/11 attacks, believes the Saudi asset dump threat speaks volumes. "They would be ruining their entire economy to just not have what's in the 28 pages released? It tells you they're a little bit afraid of what's in there," Strada told CNN.